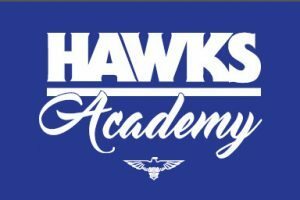 Perry Lakes Hawks Basketball Association is very pleased to introduce the Hawks Academy as part of our 2017 High Performance program. The program has been designed to provide our young athletes not just a high-level skills program, but also the non-physical side of the game with a focus on mental preparation, game intelligence, teamwork and nutrition. Our High Performance Manager, CJ Jackson, will run the Hawks Academy. 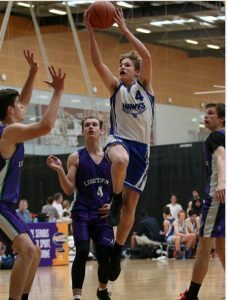 CJ has over 25 years’ experience in the SBL in Western Australia as a player, administrator and coach. CJ retired as our Women’s SBL coach at the end of 2016 season and has a wealth of knowledge to share and lead our High Performance program to develop our Hawks Athletes for the future. Positions in the Hawks Academy will be offered to athletes based on our WABL coach’s recommendations. Invited athletes will then participate in a camp during the school holidays where final selections will be made. Once selected, athletes will partake in sessions on a weekly basis. Hawks already have a number of athletes involved in state programs (FDP & SPP). Our aim is to not load these young bodies up with more on-court work, but to include them in our program so that they get the benefits of the other areas that are covered. Once these athletes finish with the state programs they will be able to participate in our Academy’s on-court work. PLHBA will endeavor to manage each athlete’s load with respect to school sports, study and other commitments. Around 60 athletes will be involved in the program.